This article aims to help you with the removal of ElementsBrowser from the affected system and browser. Follow the detailed guide presented at the end to get rid of this undesired app in full. 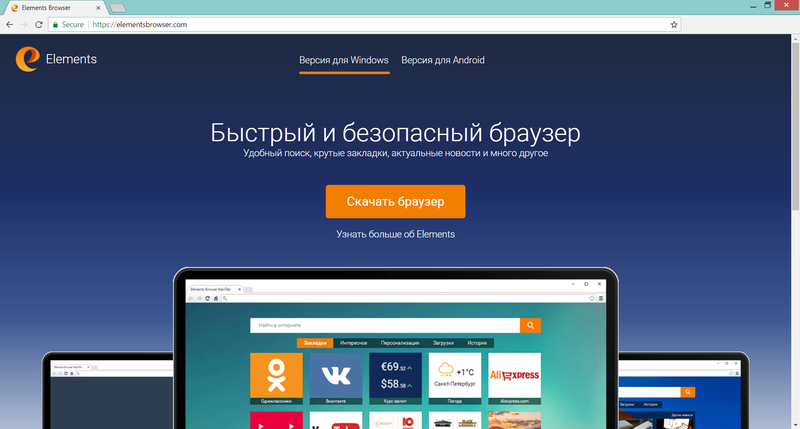 ElementsBrowser is presented as a useful app that enhances the speed and security of your browser. However, it is also considered to be a potentially unwanted program that may suddenly appear in your preferred browser without your permission. It usually happens with the help of shady methods of distribution like software bundling and compromised packages. And after ElementsBrowser PUP gains access to your system it initiates modifications of basic browser settings in order to force you to use its deceptive services. Short Description ElementsBrowser is suspicious program that sneaks in computer systems in order to hijack commonly used web browsers and force users to use its services. User Experience Join Our Forum to Discuss ElementsBrowser. Among the main reasons why ElementsBrowser could be classified as an undesired program are the methods used for its distribution. One way for the PUP to land on your system is by being bundled to other free third-party apps. Its installation code may reside in the installers of various free apps available across the net. Unfortunately, in the majority of cases, the presence of the PUP is concealed so that you are more likely to get tricked into installing it without noticing it. There is a way, however, to prevent undesired apps from accessing your system. It is possible to do that by choosing the Advanced or Custom configuration options during the installation process of new apps. The information presented in these options may reveal the presence of any undesired apps so that you can opt out their installation. However, it is less likely for the PUP to land on your system through this channel as it requires your personal desire and download. Frequently used web browsers like Google Chrome, Mozilla Firefox, Internet Explorer, and Safari could be affected by ElementsBrowser program. ElementsBrowser is an app that pretends to make your browser faster and more secure. However, what it does is exactly the opposite. Once it is running on your system this undesired program initiates a sequence of browser settings modifications that enable it to start forcing you to use its doubtful services. As a result of infection with ElementsBrowser the homepage, new tab page and default search engine may be replaced by a doubtful search engine. 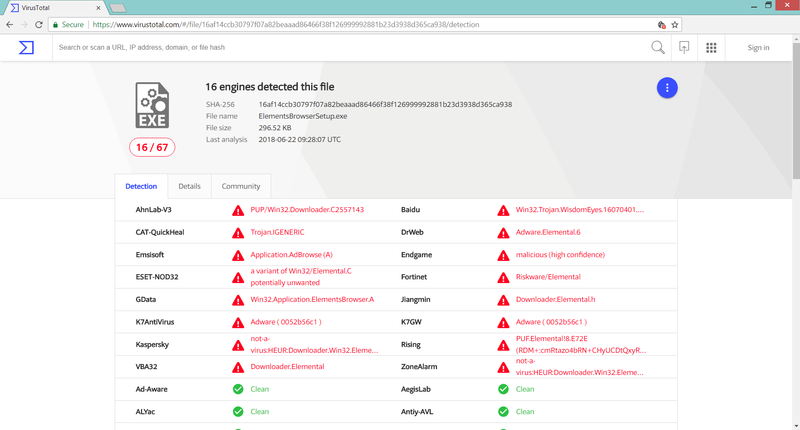 After a check of the setup file of ElementsBrowser on VirusTotal, it becomes clear that the app is detected by 16 anti-malware engines as a harmful file that endangers the security of your PC. Apparently, the undesired program is categorized as an adware which means that after its installation it will be able to inject lots of ads in your browser and system. The annoying and potentially harmful ads may be of different kinds including pop-ups, pop-unders, new browser tab windows, banners, in-text links, videos, etc. On the one hand, they could make your browser sluggish and diminish your browsing experience. On the other hand, some of these ads could land you on compromised web pages that attempt to make you a victim of a scam or at worst utilize malicious scripts that download some kind of malware directly on your device. In addition, the analysis of ElementsBrowser.exe reveals that the app has some embedded functionalities that allow it to act like Trojan downloader. This means that after the PUP is executed on the system it could attempt to connect to the Internet and download any additional malware or adware. It may also be designed to steal sensitive information like log keystrokes, instant screenshots, and other login credentials. Based on the harvested information about your online behavior ElementsBrowser may flood your browser with various ads that attempt to trick you into visiting the promoted website. The records of your data may be also disclosed to business partners of the company owner that are likely to make you a target of yet another wave of online ads. At worst your data may be released on dark web markets where malicious intenders would have the chance to obtain it. 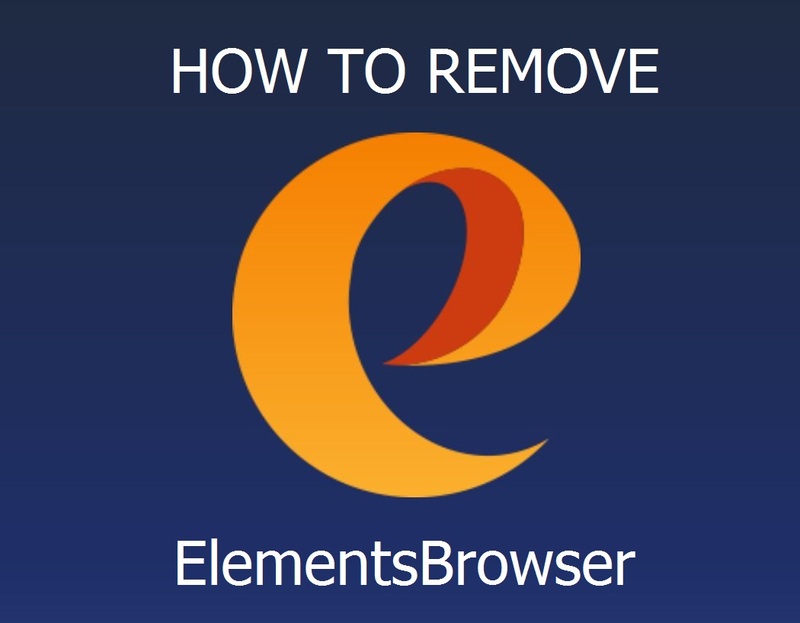 In order to remove ElementsBrowser from your PC make sure to complete all the steps listed in the removal that follows. It presents both manual and automatic removal instructions that combined will help you to remove this nasty program in full. The automatic approach guarantees maximum efficiency as after a scan with an advanced anti-malware tool you can see the exact location of all malicious files and objects created by ElementsBrowser and remove them from the infected PC. In case that you have further questions or need additional help, don’t hesitate to leave a comment or contact us via email. Threats such as ElementsBrowser may be persistent. They tend to re-appear if not fully deleted. A malware removal tool like Combo Cleaner will help you to remove malicious programs, saving you the time and the struggle of tracking down numerous malicious files. Threats such as ElementsBrowser may be persistent on your system. They tend to re-appear if not fully deleted. A malware removal tool like SpyHunter will help you to remove malicious programs, saving you the time and the struggle of tracking down numerous malicious files. Note! Your computer system may be affected by ElementsBrowser and other threats. SpyHunter is a powerful malware removal tool designed to help users with in-depth system security analysis, detection and removal of threats such as ElementsBrowser. 1. Install SpyHunter to scan for ElementsBrowser and remove them. 2. Scan with SpyHunter, Detect and Remove ElementsBrowser. Ransomware infections and ElementsBrowser aim to encrypt your files using an encryption algorithm which may be very difficult to decrypt. This is why we have suggested several alternative methods that may help you go around direct decryption and try to restore your files. Bear in mind that these methods may not be 100% effective but may also help you a little or a lot in different situations. Note! Your computer system may be affected by ElementsBrowser or other threats. Remove ElementsBrowser by cleaning your Browser and Registry. Fix registry entries created by ElementsBrowser on your PC. Combo Cleaner is a powerful malware removal tool designed to help users with in-depth system security analysis, detection and removal of threats such as ElementsBrowser. Step 5: In the Applications menu, look for any suspicious app or an app with a name, similar or identical to ElementsBrowser. If you find it, right-click on the app and select “Move to Trash”. Step 6: Select Accounts, after which click on the Login Items preference. Your Mac will then show you a list of items that start automatically when you log in. Look for any suspicious apps identical or similar to ElementsBrowser. Check the app you want to stop from running automatically and then select on the Minus (“–“) icon to hide it. Remove ElementsBrowser – related extensions from your Mac’s browsers. A pop-up window will appear asking for confirmation to uninstall the extension. Select ‘Uninstall’ again, and the ElementsBrowser will be removed. When you are facing problems on your Mac as a result of unwanted scripts and programs such as ElementsBrowser, the recommended way of eliminating the threat is by using an anti-malware program. Combo Cleaner offers advanced security features along with other modules that will improve your Mac’s security and protect it in the future. Hey !, I found this information for you: "How to Remove ElementsBrowser PUP". Here is the website link: https://sensorstechforum.com/remove-elements-browser-undesired-program/. Thank you.